The Vernier Drop Counter is used to perform accurate, automatic titrations. This digital sensor can be used in conjunction with a pH Sensor (or other sensor) to accurately record the volume of titrant added during a titration. Connect the Drop Counter and additional sensor (pH Sensor, Conductivity Probe, etc.) to the interface (LabQuest Mini, LabQuest 2, etc.). The software will identify the sensors and load a default data-collection setup. You are now ready to continue your experiment. 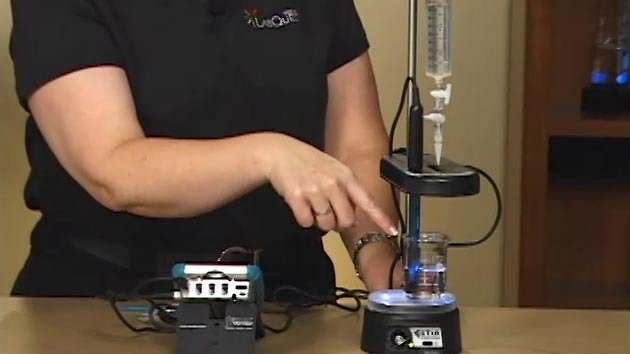 Place a 100 mL beaker on the center of the Stir Station or a ring stand and magnetic stirrer. Remove the storage bottle from the sensor (if applicable). Insert the sensor body through the larger round hole on the Vernier Drop Counter. 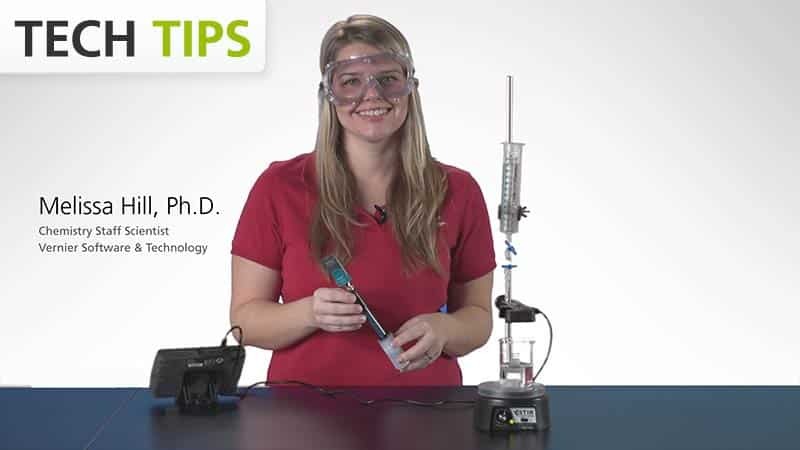 Slip the Microstirrer onto the bottom of the sensor. Slide the Vernier Drop Counter down the ring stand to a level such that the Microstirrer is very close to the bottom of the beaker. Tighten the turn screw of the Drop Counter to hold it firmly in place. No data will be collected until the first drop falls through the Drop Counter. Carefully center the spout of the reagent reservoir to allow the drops to pass through the Drop Counter. Completely open the lower 2-way valve (the upper valve should still be set to a slow drop rate). You will now see pH vs. volume data being plotted on a graph. When you are satisfied that the titration has proceeded past the equivalence point, shut off the lower 2-way valve of the reagent reservoir and stop the data collection. The sensor has an infrared LED emitter on one end of the area through which the drop falls (1.3 × 3.7 cm) and a detector on the other end. 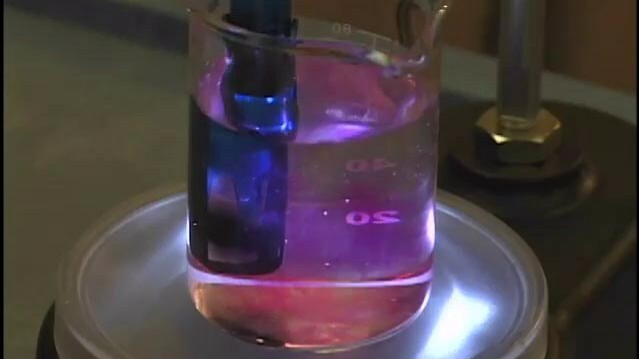 When the infrared beam (centered at 890 nm) between the source and detector is blocked by a drop of titrant, a digital signal is sent to the data-collection interface.The drops are then converted to volume units (e.g., milliliters) in the data-collection program. A red LED indicator light flashes each time a drop of liquid passes through the Drop Counter. Use the Vernier Drop Counter with other Vernier sensors such as our Ion-Selective Electrodes, Conductivity Probe, or older Vernier pH Sensors that do not auto-ID. The Vernier Drop Counter can accommodate many third-party electrodes when used in conjunction with the Electrode Amplifier. Simultaneous pH and temperature readings can also be taken while using the Drop Counter. 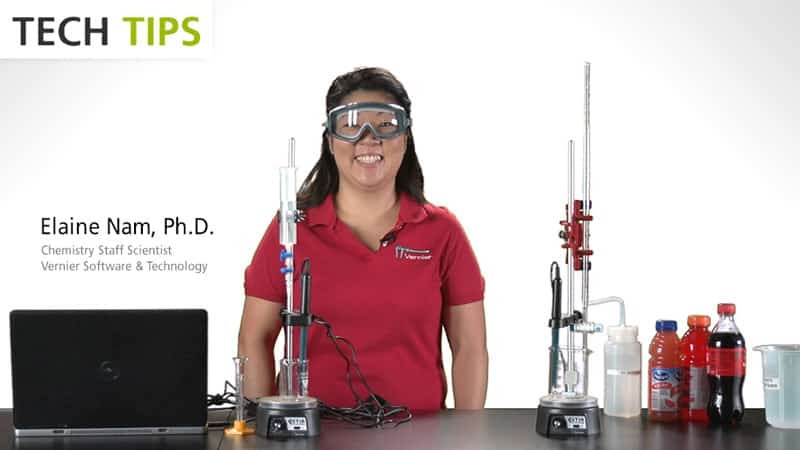 If you have watched the related product video(s), followed the troubleshooting steps, and are still having trouble with your Vernier Drop Counter, contact Vernier Technical Support at support@vernier.com or call 888-837-6437. Support specialists will work with you to determine if the unit needs to be sent in for repair. At that time, a Return Merchandise Authorization (RMA) number will be issued and instructions will be communicated on how to return the unit for repair.